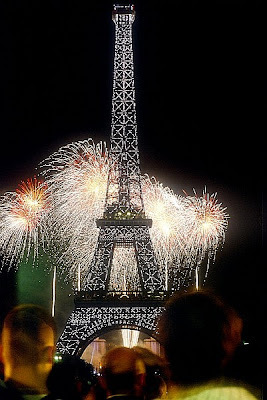 14 July was France national day to mark the commencement of the French revolution. Since France was never colonized, they don't celebrate Independence Day. On 13 July, we went to watch a parade. 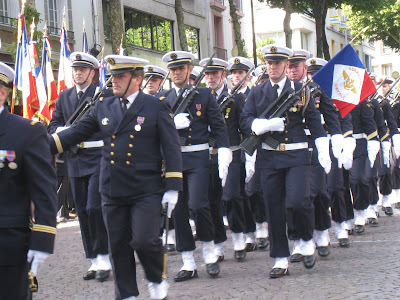 It was a very small scale parade, with armies, marines and firefighters dressed up in their uniform. I was very surprised that the parade was not accompanied by any "pancaragam" or musical band performed by high school students. In Malaysia it would be the time for those bands to shine and show up on TV after countless rehearsal. 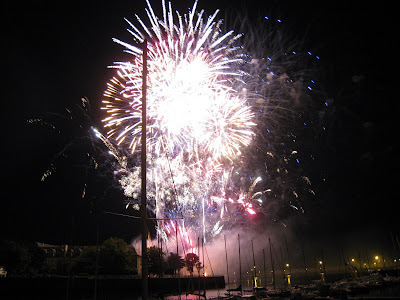 During the night we went to watch the firework show at a port. It was the best firework show I have seen so far. In France the show comes with musics. This year the theme was cinema music, so we got to watch the firework danced and played along dynamically with songs like "Pretty Woman", "Mission Impossible", "Big Blue", "Pulp Fiction"...The show lasted for 20 minutes. I saw on news that the one in Paris lasted for 35 minutes and it was so beautiful with the Eiffel Tower as background. beautiful!!! I missed Paris so much.. :-) can't wait to visit again.